It's official, I'm a smoothie bore fan. I make one most days and, when it's finished, I'll spend at least two minutes pondering what to put in tomorrow's glass of goodness. But that's allowed, right? Because they are quick and easy to make, super refreshing and a lovely way to get lots of fruit and veggies into your system first thing. This raspberry and almond butter smoothie is my current crush. It contains frozen raspberries, which whip up to make a beautifully cool and refreshing breakfast, and the almond butter creates the most delicious, creamy texture. I'm not a huge fan of nut butters by themselves so I was looking for a way to use up some almond butter after a recent raw cherry and chocolate fudge making session. This, my friends, is the best way to do that! It is SO GOOD, I promise. Sweet, summery and perfect on a sunny morning. Or a cloudy morning. Or just any morning, tbh. Basically, you just need to make it and see for yourself. Pop everything into your blender, adding enough filtered water to cover the ingredients, and get whizzy with it. Pour into a glass, dress with a sprig of mint if you're feeling fancy and slurp it up. This smoothie is packed full off goodness, too. 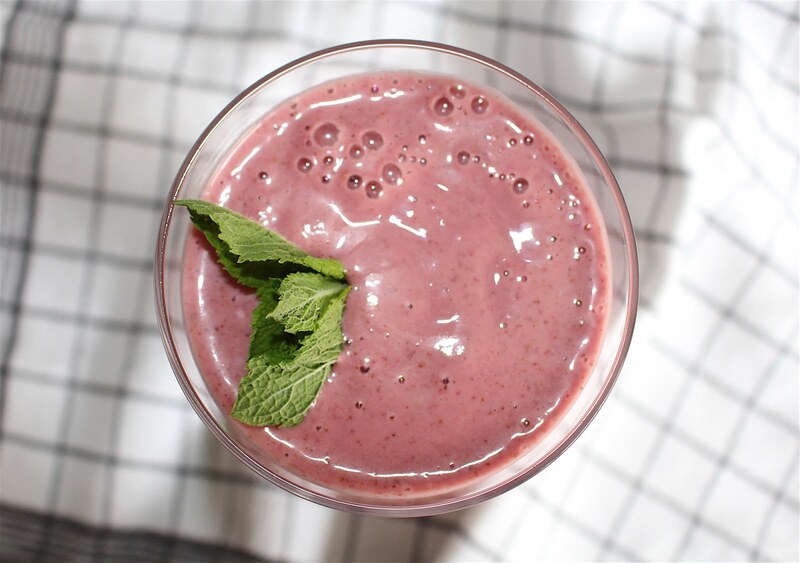 Red berries like raspberries are great for strengthening your blood (same goes for lots of other deeply pigmented red foods, like cherries and kidney beans) and they turn this smoothie into the prettiest of pink drinks. Cinnamon's good for regulating your blood sugar while almond butter is a little powerhouse of protein and fibre. Oh hi, energy levels! I'm loving adding almond butter to cooling, refreshing smoothies! It makes it feel so much more indulgent all the while being so refreshing. 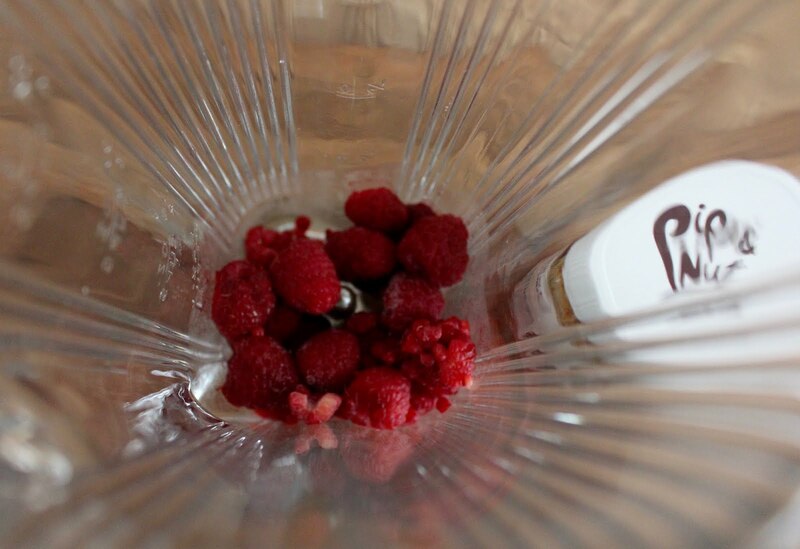 I've always got tonnes of frozen raspberries on the go so I'll give this combo a try next time I fancy a smoothie. 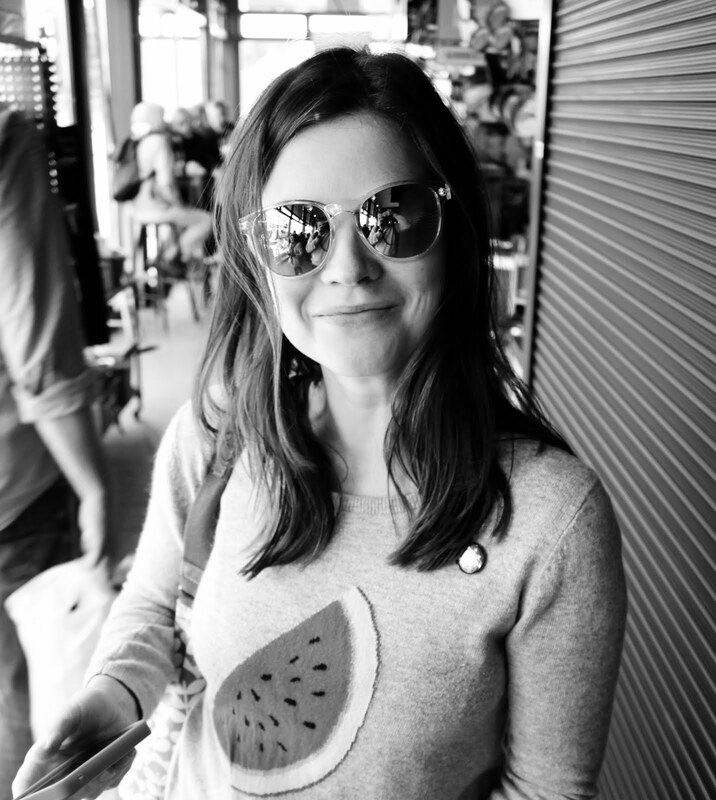 I tried a recipe from Madeleine Shaw's latest book that called for almond butter in the smoothie and it's just the best - I think it's her green smoothie? SO good!